A Devotional from Francine Rivers! The book I recommend first to those who ask is Redeeming Love by Francine Rivers. It is my go to, must read for anyone who wants to read for enjoyment and substance. I have yet to find someone disappointed with the book. Francine Rivers is a gifted writer and ANYTHING she has written is well worth the read. Earth Psalms by Francine Rivers with Karen Stock Buursma is the same kind of wonderful. Earth Psalms is a weekly devotional, one for each week in a year. Each devotional includes beautiful pictures, writing from Rivers, an opportunity to reflect, apply what you have read, and connect with God. A few of the weeks really stood out to me personally. Number Forty-three, Letting God Be the Judge, encourages us to know that when we encounter people, we are only seeing part of who they are. People are like icebergs, and not everything about them can be seen. Week Forty reminds us the importance of staying in God’s word. In this week, I loved River’s illustration of the flamingo. Flamingo’s color comes from the food they eat. Pink flamingos get their color from pink shrimp. However, some flamingos are white from dining on small fish and frogs. Our diet of scripture, or lack there of is often obvious in our actions and attitudes. I was so excited to get my copy of Earth Psalms. Francine Rivers is a personal favorite of mine and I knew this devotional would be lovely. Earth Psalms would make a lovely Christmas gift, birthday gift, or get well gift. I received a complimentary copy of this book by its publisher. I was not required to give it a positive review. There are a few features of this Bible that make it perfect for a guy who has grown up a bit. First, it is the New Living Translation. NLT is by far my favorite translation, especially for young readers. It is easy to understand and is simply and modern English translation of the original text. Secondly, this is a simple Bible, without any commentary or extras. Study Bibles have their place, but for day to day use this size is ideal. This Bible does contain a concordance, maps, a year long reading plan and a list of helpful verses to memorize categorized by subject matter. I find the cover of this Bible perfect. (The cover feels like leather, but is not actual leather.) It is a bright blue chevron on a dark gray background. This is a Bible my son will not outgrow. He will be able to carry it for years to come. My favorite feature of this Bible is the verse inside the front cover. “My victory and honor come from God alone. He is my refuge, a rock where no enemy can reach me” Psalm 62:7. What a fantastic verse for a young man! If I were to put an age appropriateness on this Bible, I would give a range of 10- life. The packaging labels the Bible for Tweens. 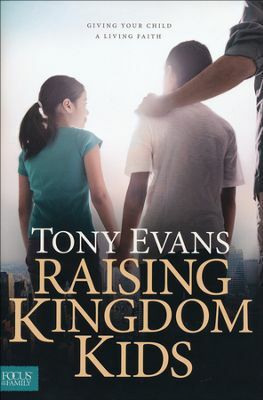 This Bible would make a great gift for a young man who is moving past childish things. I was given a complimentary copy of this Bible by its publishers in exchange for an honest review. All opinions are my own and I have not been compensated. Long before anyone would christen the Dust Bowl, Nola Merrill senses the destruction. She’s been drying up bit by bit since the day her mother died, leaving her with a father who withholds his affection the way God keeps a grip on the Oklahoma rain. A hasty marriage to Russ, a young preacher, didn’t bring the escape she desired. Now, twelve years later with two children to raise, new seeds of dissatisfaction takes root. When Jim, a long-lost friend from her husband’s past, takes refuge in their home, Nola slowly springs to life under his attention until their reckless encounters bring her to commit the ultimate betrayal of her marriage. For months, Nola withers in the wake of the shame she so desperately tries to bury, burning to confess her sin but wondering whether Russ’s love will be strong enough to stand the test. Love stories are my favorite to read above all other forms of fiction. Current day, historical, whatever…I love a love story. Knowing that, I was a little unsure selecting On Shifting Sand to read. I knew before I started, trouble was brewing for the main character, Nola Merrill, and I wasn’t so sure I would enjoy the heavy subject matter. However, I am happy to say that I found this title by author Allison Pittman brilliantly written and easily one of my favorites for 2015. What is unique about On Shifting Sand is that it is written from the first-person perspective of Nola Merrill. She is telling the story and we see everything through her eyes and in her voice. Nola is a complicated woman and so many times I found myself wanting to sit down and have a chat with her. Nola is self-destructive and in all kinds of denial. But she is not unlike most of us. The difference is, we are able to hear from Nola what most of us keep silent. To my surprise, there is much love in this story: The love of a mother for her children, a husband for his wife, a pastor for his flock, and a friend for her neighbor. I did get my love story, just not in the way I expected. I would also add that I appreciated the lack of side stories in the book. It is perfect without needing unnecessary story lines. This is such good book and I am so glad I had the opportunity to read it. I was given a complimentary copy of this book by its publisher, Tyndale Fiction, in exchange for an honest review. I have not been compensated and all opinions are my own. 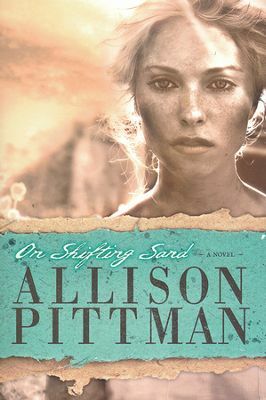 What inspired you to write On Shifting Sand? This is always the hardest question to answer. I loved writing about the dynamics of marriage with my Sister Wife series. But then, a story of a marriage needs conflict, and I’ve yet to see a CBA novel really tackle the idea of adultery in a way that showed it to be a conscientious, willful sin, disassociated from the circumstances of the marriage, or the relationship between the husband and wife. Too often, it was a backstory to justify a divorced character. Or it was a series of close calls, but never fully realized. I wanted to portray it as sin. Pure and simple, but unique in the fact that it reaches beyond the sinner, and carries with it a risk in confession. And then, I wanted to write a story that follows through a journey of restoration—not simply coming back to Christ, but coming back to life. It took a bit for all the pieces to come together, and so many of them weren’t discovered until I was buried in the story. More than any of my books, inspiration for this story came bit by bit. The story is written from the perspective of Nola Merrill, who finds herself in an adulterous relationship. Why did you decide to write the story from the perspective of an unreliable narrator? I think we are all unreliable narrators in our own lives, especially when it comes to facing our sin. We justify our sin, proclaim ourselves victims, assign blame and downplay responsibility. We can bury ourselves so deeply in guilt, we’re blind to the idea of redemption, so we ignore what God tells us about confession and grace and mercy. We lie to ourselves the same way Nola lies to herself—and, thereby, to the readers. I have no doubt this character will make readers uncomfortable. She made me uncomfortable. They are going to be frustrated with her choices, disappointed by her actions, but I’m OK with that. I think Nola is the realest character I’ve ever created. What would you say to couples who have been touched by infidelity in their marriages? I hate to think of myself as being qualified to say anything beyond—Pray. Circumstances can fluctuate too widely to give any worthwhile temporal advice, but prayer taps into omniscient, omnipotent resources. And, I don’t think the prayers are any more or less applicable whether you are the adulterer or the “faithful” spouse. Pray that God will reveal your sin to you. Own it, confess it, and trust in His forgiveness. Pray for the healing of your heart and for the strength to love despite the pain. Allow God to work in the heart and mind and spirit of your spouse. That doesn’t mean couples should always stay together, but it’s not an automatic “out” for a marriage, either. No matter the final decision for the marriage, a man and a woman need to be restored in their relationship with Christ and their relationship with each other in order to fully experience the life God has in store. In 2014 I found a way to fuel my reading habit by becoming a Book Blogger. I started with one publisher and slowly added a few more. It has been so much fun! I love to see the manila envelope in my mailbox with a crisp, hot off the press, new book. Thanks to Bethany House, Revell, BookLookBloggers, Tyndale House, and NetGalley for the opportunity to read and review books! I have read so many fabulous books in 2014 but a few stand out above the rest. My list includes some of my favorite writers as well as new authors who absolutely blew me away. I have said it before, and I will gladly say it again. This book is a fantastic work of historical fiction. Laura Frantz is a wordsmith. She has the gift of writing, the magic of words, the art of storytelling, and I cannot get enough! I will never forget this book. 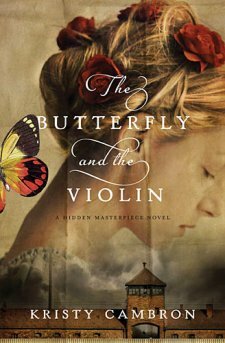 In the same breath I recommend Redeeming Love by Francine Rivers to a friend, I will add The Butterfly and the Violin by Kristy Cambron. It was my favorite surprise find of 2014. I will not give anyway of the plot because that would be criminal. In short, The Butterfly and the Violin is the first book in Kristy Cambron’s debut series. Art dealer Sera James is searching for a portrait she saw years ago in a gallery. The painting is of a beautiful violinist with her hair shaved and a numbered tattoo on her arm. This book is about the story the painting tells, and the impact the story has on Sera James. 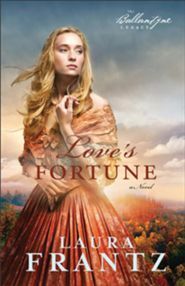 Sarah Loudin Thomas is another debut author in 2014 who made me fall in love with her characters and her unique style. Her writing is fresh and inviting. If you missed this title in 2014, add it to your list of must reads! In this book, a beautiful woman named Perla escapes to Wise, West Virginia to get away from all of the gossip and judgment she faced as an unwed mother. It is in Wise she meets Casewell and entrusts him with the truth about her situation. Casewell finds it difficult to see Perla as more than her sin, regardless of his feelings for her. I have long been a fan of Karen Witmeyer. I never have to wonder if I will enjoy one of her titles, it is a sure thing. 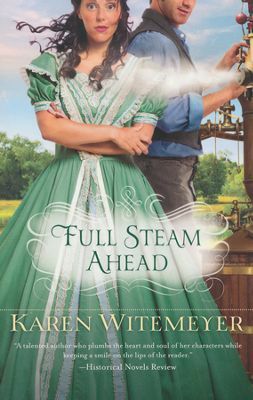 Full Steam Ahead was by far my favorite book of Witemeyer’s yet. I enjoyed it immensely and I know you will too! Deeanne Gist is another author who writes a guaranteed good read. 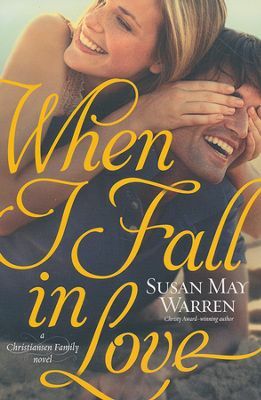 What makes this particular title so wonderful is the relationship and love story Gist creates on the pages of this sigh-worthy book. I loved it. 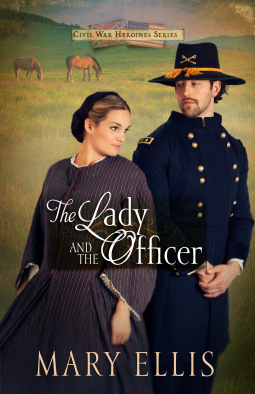 Author Mary Ellis wrote an amazing piece of Civil War Historical Fiction in The Lady and the Officer. This title was especially delightful for me because I happen to live in the middle of Civil War Battlefields. I adored every page and I am excited to read anything Mary Ellis writes! The Lady and the Officer tells the story of war widow, Madeline Howard whose husband fought for the Union. As the war creeps into her backyard she is rescued by dashing General James Downing. They quickly form an attachment, but Madeline is forced to find shelter with her only family left in Richmond. 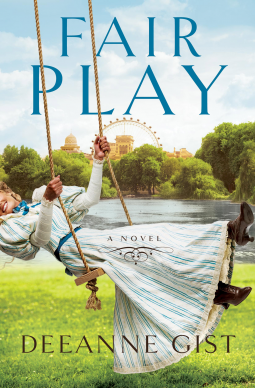 It is there she finds herself constantly pulled between the love of her Confederate family and her loyalty not only her country, but her new-found love. 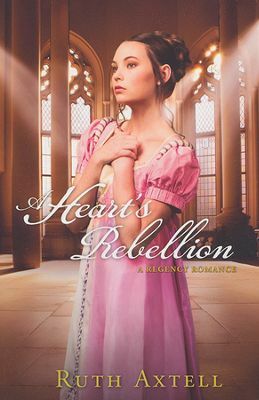 I am definitely a reader who has a preference for Romantic Historical Fiction. This book fell outside of those lines, but I found it to be a wonderful story full of endearing characters. I so wanted When I Fall in Love to be made into a movie! More than that, it left me wanting to read the entire series. In this third book of the Christiansen Family Novels, Grace Christiansen is sent by her family on a culinary vacation to Hawaii. It is there she meets up with Maxwell Sharpe who has been asked to look after Grace while she is away. Max is a hockey player and culinary whiz desperate for a vacation and adventure. The unlikely pair hit it off in a story you will want to read over and over. I truly hope this one makes it to the big screen! 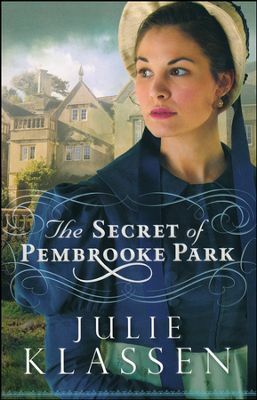 Love, mystery, intrigue, and great storytelling make The Secret of Pembrooke Park an easy favorite! Julie Klassen not only wrote one of my favorite books this year, she is on my list every year. In The Secret of Pembrooke Park, Abigail Foster’s family is facing financial ruin and has accepted an offer of housing from distant relatives at Pembrooke Park. Abigail and her father find the old home just as the last family left it….eighteen years ago. The house is draped in mystery and frankly, a little creepy. Abigail works to put the house in order and begins to unravel the secrets of Pembrooke Park. She also meets a very attractive local curate, William. He and his family have some part to play in the house and the secrets it holds. Abigail must decide who to trust and with whom to exercise caution. Clearly, I prefer fiction. However, out of all the books both fiction and nonfiction, this book was the most memorable and life changing. I have recommended this book to countless people. If you were to pick one book form this list to read, pick this one. Shelene Bryan is the founder and executive director of Skip1.org. 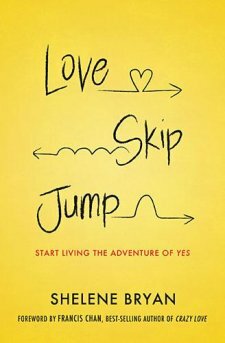 Love Skip Jump is the story of how Skip1.org was founded. More than that, it is the story of how one woman’s yes radically altered the lives of so many. Shelene’s actions changed her own life and caused an unknown amount of ripples throughout the world. I would love to know your favorite reads this year! Please leave your picks in the comments as well as link to your blog. Happy New Year! Here is to sleeping less and reading more in 2015!